It is currently battle stations at the AEC, as they’re now re-counting votes from three polling stations. Per Antony Green, we should know by tonight. As you would no doubt be aware, the vote for Wentworth (and perhaps Australia at large) is not over. 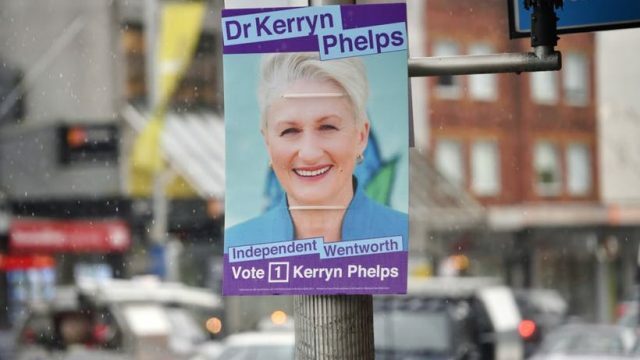 As Fairfax reported earlier, the gap between Kerryn Phelps and Dave Sharma has been significantly bridged by the papier-mâché of postal vote. Ostensibly, the gap between the two could be reduced to 500. According to the rules, if the gap between the two dwindles to 100, an automatic recount would occur. Prior to the election, the AEC issued 12,788 postal votes. By 10:30, they had processed 5,624. The remainder have either been unprocessed, unreturned or unaccounted for. It’s also worth mentioning that the deadline for the count is November 2, and the AEC estimates that 70% of posted votes will return. The Liberals were gaining about 64 per cent of the postal votes already counted on a two-party basis, with another 1,266 postal vote envelopes received and still to be processed. Assuming the Liberals gain 810 of those remaining postal votes and Dr Phelps secures 456 of them, the gap would narrow but the independent candidate would still win. After much digging around, I’ve worked out the following. The AEC is currently re-counting the Bondi Beach, Bellevue Hill and Vaucluse polling places. At 3pm they will begin a count of and additional 1,200 postal votes. The result will be clearer or closer by tonight. So, we’re close, and it’s closer than we assumed, but we’re not there…yet.